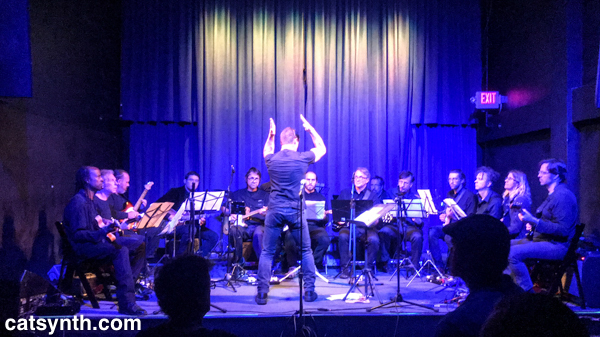 Last Friday, a large portion of the Bay Area new-music community gathered at Berkeley Arts in an evening of large-ensemble improvisation and to raise money to help fellow local musician Jay Korber. 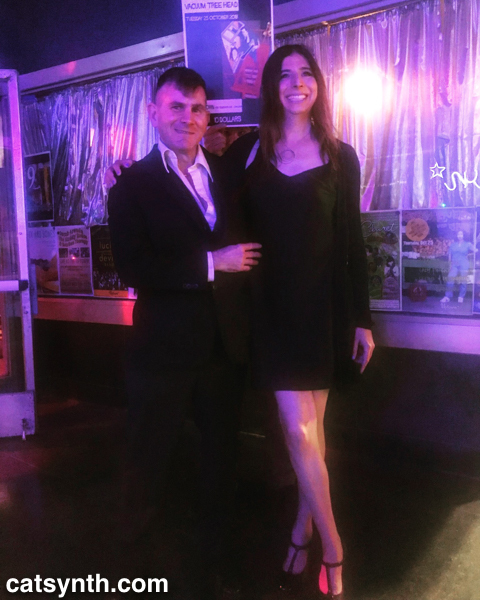 Korber had been seriously injured recently when he was struck by a street sweeper truck in San Francisco, and this concert was a benefit to raise funds and support his recovery. The first half of the concert featured a specially convened Moe!kestra conducted by Moe! Staiano. The ensemble consisted of woodwind, percussion and electric-guitar sections. I managed to incorporate myself into the “guitar” section with an iPad and amplifier. Moe!’s conducting consisted of a series of simple gestures aimed at individuals or groups of performers that led to both an expressive and varied performance and entertaining conducting. This group was heavier on horns, and overall had a jazzier feel to it. While the majority of the set consisted of large-scale free-jazz improvisation with dynamic runs, hits, and responses, the final piece was based on a Miles Davis riff that was initially repeated and then deconstructed. It was a bit of a musical in-joke, but I for one like having familiar idioms alongside experimentation. 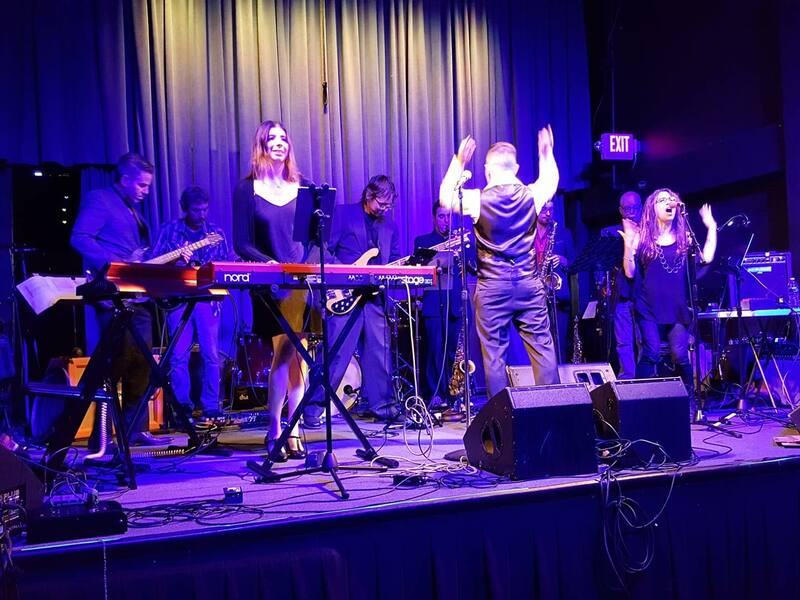 In all, it was a fun night of music and fellowship, and the event raised quite a bit of money for Jay Korber. We wish him a full and speedy recovery.